“President Donald Trump announced [that] he is nominating Justice Brett Kavanaugh to the Supreme Court to fill the vacancy created when Justice Anthony Kennedy announced his retirement June 27. “I am part of the vibrant Catholic community in the D.C. area,” he added. He also made special mention of Msgr. John Enzler, President and CEO of Catholic Charities, who was present at the announcement. “40 years ago, I was an altar boy for Fr. John,” said Kavanaugh, adding that they now serve the homeless together through his work with Catholic Charities. 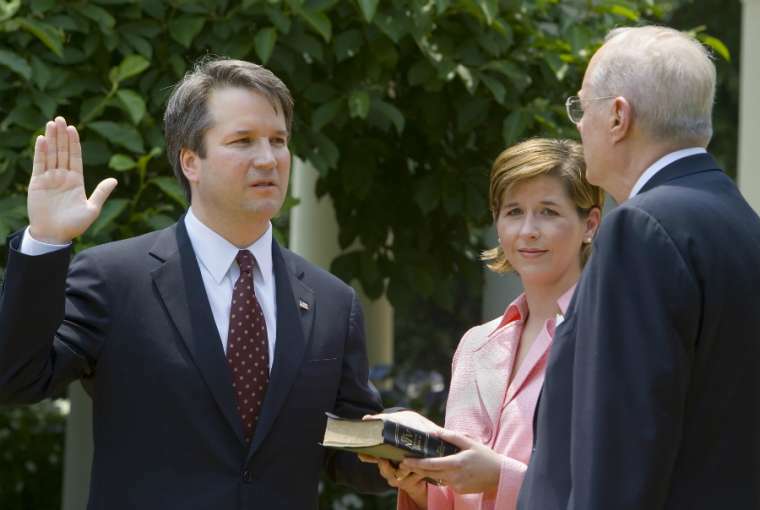 Kavanaugh currently serves on the DC Circuit Court of Appeals and has done so since 2006. Previously, he worked in the George W. Bush White House. 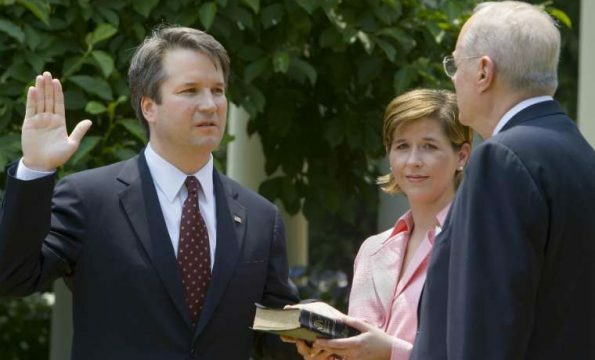 Kavanaugh clerked for Justice Kennedy, a Roman Catholic whom he is nominated to replace. Kavanaugh’s nomination, if confirmed by the U.S. Senate, will keep the court mostly dominated by five Roman Catholics, three Jews and one Episcopalian. While Justice Kavanaugh is not likely a Jesuit, he has certainly learned how to think from them. He was mentored by them during some of his key formative years, and certainly knows them well. He speaks very highly of them. 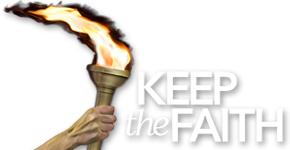 Will the Jesuits provide advice to Justice Kavanaugh behind the scenes on key cases? Rome’s hidden hand will remain quite strong in U.S. jurisprudence. “Under various disguises the Jesuits worked their way into offices of state, climbing up to be the counselors of kings, and shaping the policy of nations.” The Great Controversy, page 235.